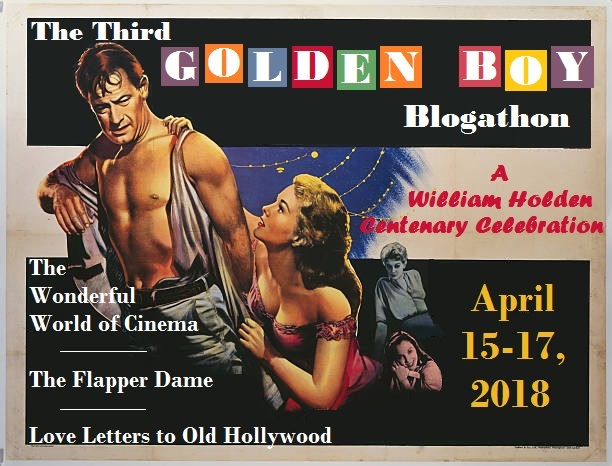 This is my entry in the William Holden Blogathon hosted by Love Letters to Old Hollywood, The Flapper Dame and The Wonderful World of Cinema. 1968 saw the release of several notable war movies. War movies were still popular, even if the real ongoing war in Asia was not. Especially popular were movies that glorified the heroes of the previous generation. The biggest money maker, as far as WWII movies, was Where Eagles Dare, a film based on a novel by Alistair MacLean. There were several others that came out in 1968. By far the box office star for war movies was The Green Berets which was John Wayne's answer to the protests over the unfavorable Vietnam war. For my money, the absolute best war movie from 1968 only had two actors, however; Hell in the Pacific, with Lee Marvin and Toshiro Mifune as enemy combatants eventually forced to form a partnership when both are stranded on a deserted island. 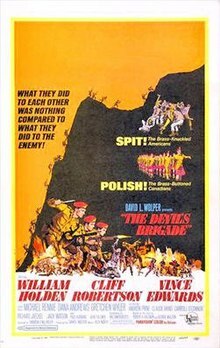 Equally rousing however is The Devil's Brigade, based on a true story of the formation of the First Special Service Force during WWII, a combined force of American and Canadian troops. The Canadians are composed of staunch chins up soldiers, but the American force is a ragtag gaggle of various malcontents. Not exactly criminals like those that formed the crack outfit in The Dirty Dozen, but I did notice a few characters who seemed to resemble some of the characters in that previous movie. Of course William Holden's Col. Frederick is not a stand-in for Col. Reismann, but he does exhibit some of the same disregard for authority that Lee Marvin's does. And Claude Akins' Pvt. Rockman could easily be mistaken for John Cassevetes' Franco (with maybe a dash of the racist views of Telly Savalas' Maggott.) Richard Jaeckel, who was a sergeant in the first movie is a private here, not quite as dumb as Donald Sutherland's Pinkley, but just as carefree. If you've seen the former flick, you might find yourself attaching some of the same similarities to the characters in this one. William Holden plays Lt. Col. Robert Frederick who arrives in Britain to discuss with Lord Mountbatten what he considers an ill-conceived idea. He had already sent papers from the U.S., but had to show up personally, and is disgusted when he finds that the Allies are going through with their plan despite the flaws in the plan he has already pointed out. It turns out this meeting was really to get a good look at Frederick, because the Allied command has ideas of forming a crack troop of soldiers for a mission in Norway. Frederick has to mold a ragtag group of soldiers, most of whom have been in and out of the brig for various offenses, and mold them into a group that can head the Norway invasion. Among these are Private "Rocky" Rockman (Claude Akins), a bulky malcontent who is always itching for a fight, Private Omar Greco (Richard Jaeckel), who has gone AWOL more times than anybody can keep track of, and Private Theodore Ransom (Andrew Prine), who is running from a cushy job as a piano player for a base because he really, really wants to get into the action. On their first day on the base the soldiers are astounded by the arrival of a contingent of Scots-Canadians, marching smartly in formation, decked out in kilts and bagpipes. There is the requisite hostility between the Americans and the Canadians, mainly it seems because the Canadians are in better shape as soldiers. Rockman and a few others are constantly trying to instigate a fight, but the orders are down from the leaders that he Canadians are to resist the temptation. An brawl in a bar with a bunch of unruly lumberjacks is the thing that gets them all on the same page. But word comes down from the high brass that they have decided to let the Brits take the Norway mission. Frederick is disgusted, mainly because the brass doesn't think he has done a good enough job on his troops to make them ready. He demands an opportunity to prove their worth and he is given it; a recon of a German garrison in Italy. Like Rambo in First Blood: Part II, their job is only to look around and bring back information, but the renegade side of Frederick has other ideas. They actually plan to capture the garrison. They end up capyuring the garrison, but it's not over yet. Now that the high command has seen how capable this "Devil's Brigade" is, they are given another mission, to capture a mountain fortress. And it won't be easy, I can tell you that much. Holden is joined by a familiar cast of actors in this one. His second in command is Dr. Ben Casey! Vince Edwards, really. Cliff Robertson plays the leader of the Canadian contingent. Richard Dawson appears as one of the soldiers. Carrol O'Connor is a general with whom Frederick appeals for a chance for his troops. 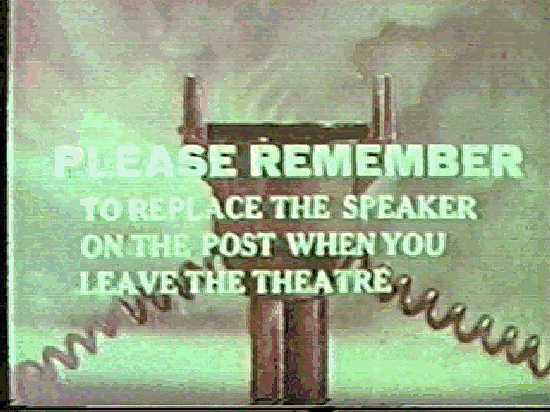 You'll even catch Dana Andrews and Michael Rennie in the head office. For an action/war movie, this one is a pretty good one. I had never even heard of it until I saw it on the shelf at my local library. It's well worth a peek. I'm glad I'm not the only one who thought this movie was somewhat derivative of The Dirty Dozen. That doesn't mean I don't like it; it a fun watch whenever I decide to pull it our of my DVD collection! It passes the test for entertaining. I especially enjoy the bar brawl where the two armies become friends by fighting. Thanks for reading. OK Note I have not seen the Dirty Dozen. I'm not into war pictures that much- so I havent sen many- I just got the Green Berets I need to watch- but I would be willing to see this because of Bill- even if there's a chance I wont like it! 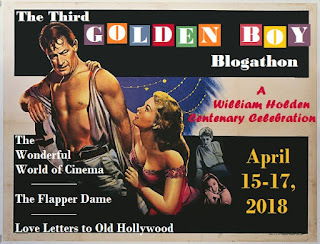 Thank You so so much for doing the Golden Boy blogathon- I'm in awe of all the admiration for Bill- and that's great there something for everyone on his filmography! My three favorite types are war, film noir and sci-fi (in no certain order). War and sci-fi are the only two these days that I will pay to see in a theater. (Gotta be lots of special effects and/or explosions, if I'm going to spend $10+ to watch it only once...) Thanks for reading. This was my first time for it. My library got it last year. I had never even heard of it before then. It was worth the checking out. Thanks for reading. I'm always interested in how Hollywood interprets Canadians, but I haven't gotten around to this one yet. It's the list, but ... well, you know how it is. I keep saying that myself. Occasionally I even follow through.... Thanks for reading. Interesting that it shares similarities with The Dirty Dozen. I really like that film, so The Devil's Brigade certainly intrigues me, even though it doesn't sound like it measures up to the Lee Marvin film. Still, you can't go totally wrong with Holden and Cliff Robertson. Thanks for contributing to the blogathon! Like the Dirty Dozen, the build up doesn't fade with the actual action. I can think of a few that the action actually paled to the setup. Thanks for reading. Yay! I was impatient to read this because it's a movie I love! Very underrated in my opinion. Excellent review and I'm glad you do like the film! I still have to see the Dirty Dozen but I indeed heard some comparisions between it and The Devil's Bridgade. Thanks so much for your contribution to the blogathon! I've watch Dirty Dozen at least a dozen times (No pun intended). This was the first time I watched this. Thanks for reading.